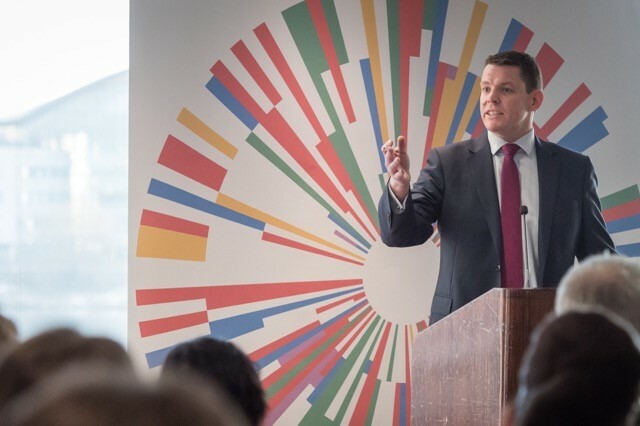 A Plaid Cymru government will deliver a multi-billion pound investment in Wales’ infrastructure to reboot the economy, the Party of Wales’ Shadow Economy Minister Rhun ap Iorwerth has said. He said that a Plaid Cymru government, if elected in May, would be a driver for economic growth. Rhun ap Iorwerth said that one of his party’s main goals is to bring wealth generated per head in Wales up to the UK average. Currently the figure – at 71.4% of the UK average – is the lowest of any UK nation or region. Earlier this week Rhun ap Iorwerth set out his plans to revive Wales’ economy, planning to re-establish the WDA brand for a new trade and investment body, establish National Infrastructure Commission Wales (NICW), and to help Wales’ businesses grow by establishing a National Bank of Wales to bridge the funding gap of £500m a year faced by Welsh SMEs. Through NICW, he said, Plaid Cymru will deliver a major a multi-billion pound investment programme that will upgrade physical and digital infrastructure in Wales. “A Plaid Cymru government can be a driver for economic growth. Our over-arching objective is to reverse Wales’ ever-widening economic attainment gap with the rest of the UK within a generation. There is no reason for Wales to lag behind, yet the wealth generated per head is lower than any other part of the UK, wages in Wales are around £100 per week lower than the UK average, and unemployment in Wales is higher. “As part of our plans, we propose to establish a new body, National Infrastructure Commission Wales, an independent public corporation that will plan, fund and deliver the aspirations set out in the National Infrastructure Investment Plan. “NICW will raise funds independently of the government, and will invest in both physical and digital infrastructure. It’s an ambitious plan, but it is Plaid Cymru’s opinion that we cannot afford not to upgrade our infrastructure and build the foundations for a period of steady economic growth. We must secure the right transport, technological and connective environments for businesses in Wales to thrive.